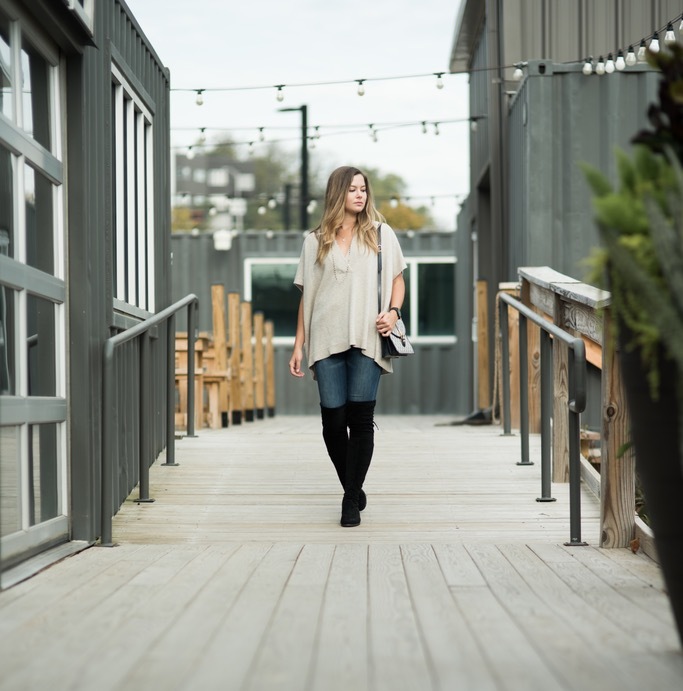 As I sit writing this post, it is a below freezing morning here in Nashville. I am surrounded by people wearing sweaters, scarves, and and vests, meanwhile I am in…a silk t-shirt. I wonder if it’s the New York in me? While this cold snap is only temporary (temperatures are expected to climb back up to the usual mid-sixties this week), I revel in the cold air. It reminds me of where I grew up, and is putting me in just the right mood for the impending holidays. 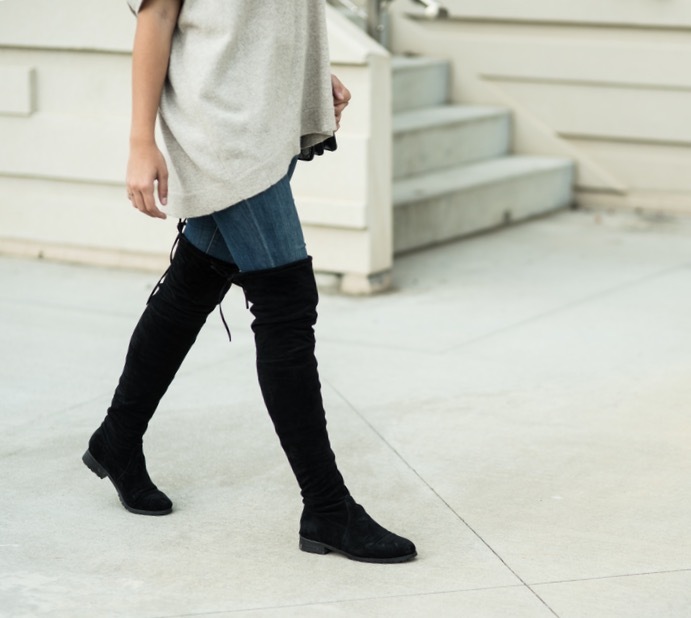 One of the most flattering and popular pieces for the colder months are over-the-knee boots. The current styles are less Pretty Woman and more high-end haute. Nordstrom is also having an amazing sale through November 12 where you can save 40% off select items.